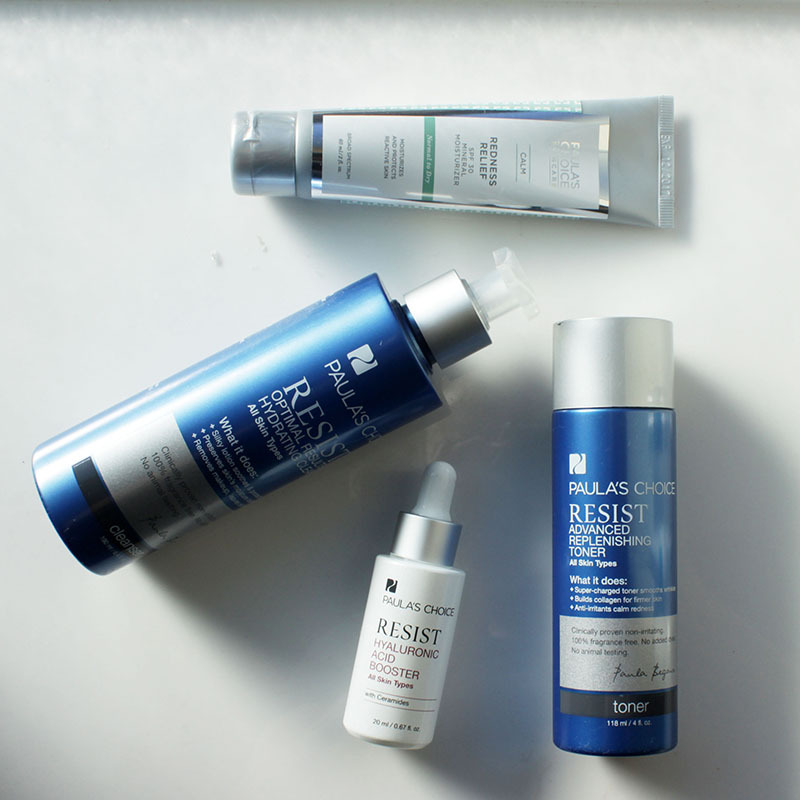 Anti-aging skin care is an essential to keep my 32-year-old skin in its best condition. 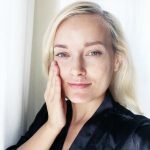 I don’t know about you, but, I would like to avoid fine lines, wrinkles, and the rapid decline of collagen and elastin that comes with aging, for as long as possible. The good news is- I think that’s all possible without breaking the bank (insert angels singing). 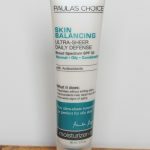 So, today I am going to show you my anti-aging skincare routine using Paula’s Choice, which, by the way, has been one of the most read about skincare lines on Citizens of Beauty. In fact, I have even shown it off on live television. That’s how much I like it. 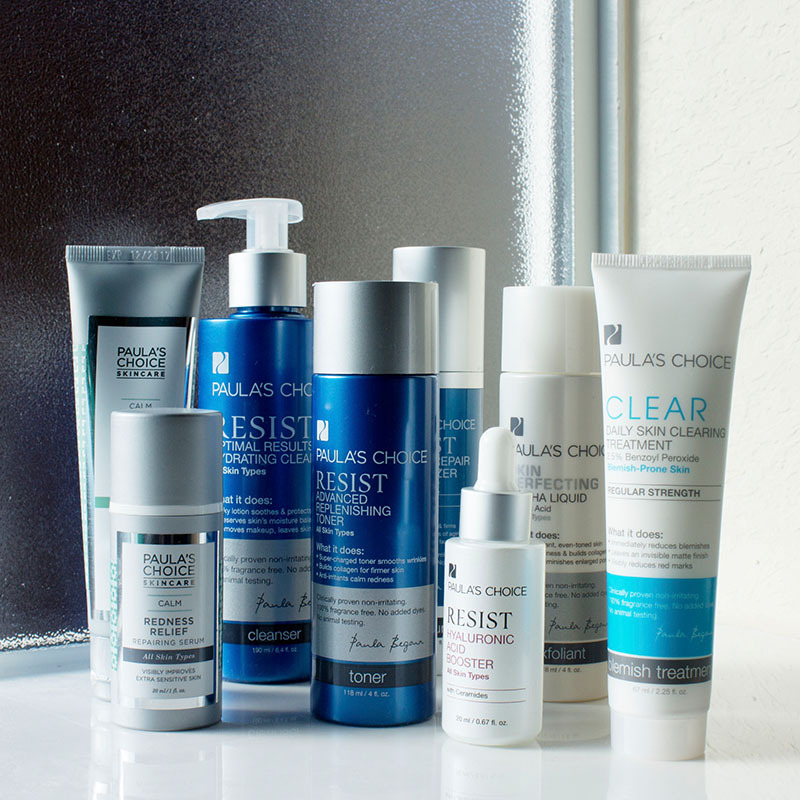 Over the years, I have tried lots of Paula’s Choice skincare products, so I obviously already had a few must-haves from this line. However, in conversation with a Paula’s Choice skincare expert, she and I agreed that I should incorporate a few other products into my skincare routine as well. 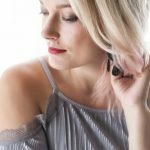 It was fun, as an esthetician and skincare expert myself, to hop on a phone call to discuss with another expert new and exciting products that will give me the results I am craving. It’s all about teamwork my beauty loving friends, and sometimes it takes a village. Am I right? 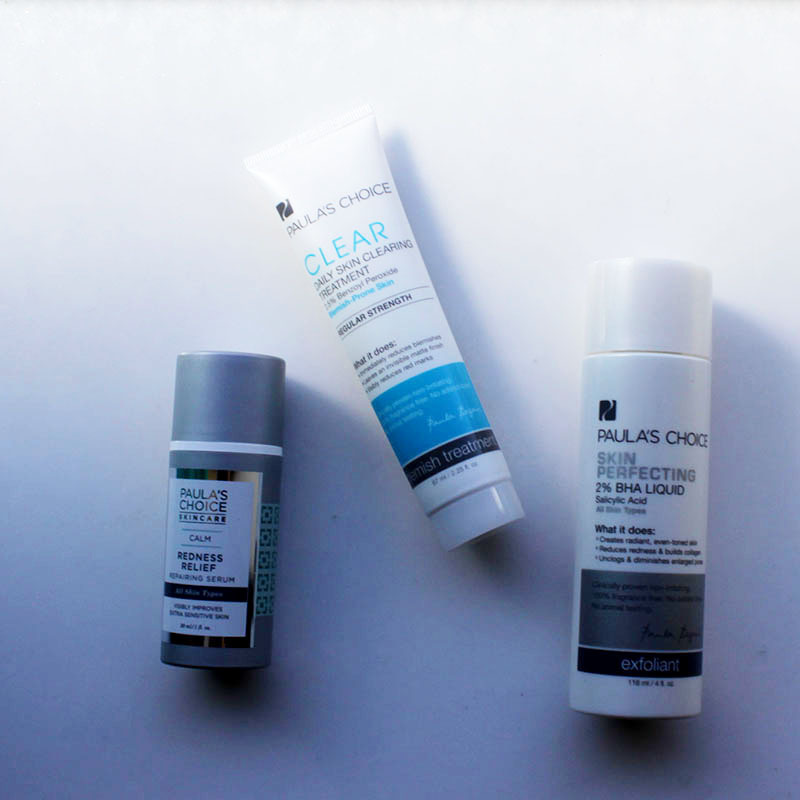 So, let’s talk about what I am using from Paula’s Choice for my anti-aging skincare routine. I am going to break it down into AM and PM and then a 3rd category that I will call the emergency kit. 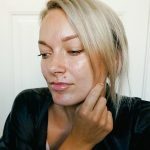 But first, I want to talk about the actual products I am showing you today so that you have something to refer to as you use this guide for your skincare routine. 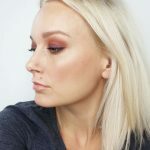 Now that you are a bit more familiar with these products, I am going to show you my Paula’s Choice anti-aging skincare routine. Every product I am using has a purpose for promoting a healthier and more vibrant, glowing skin. Now, get your pen and paper out to take some notes and copy my routine. 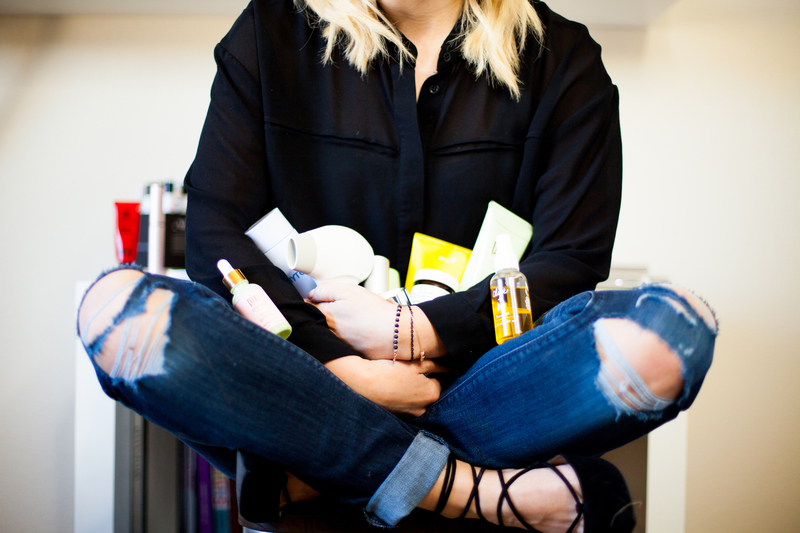 Kendra’s Skincare Emergency Kit that is essential for weekly skin maintenance, and emergencies like skin sensitivities and random blemishes. While this seems like a big routine, it’s not. I have three kids, so I get that time is an actual thing and that extra time is not a thing. I also get that we only have one skin, yup, just one. So, you and I had better take care of it. 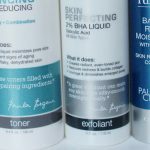 My Paula’s Choice Anti-Aging routine takes about 6 minutes daily, and that includes my AM and PM system. Even better than that is the price you will pay for all of this. Get this, you can get my entire Paula’s Choice Anti-Aging skincare routine for only $191.60! 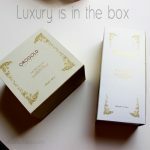 It’s like luxury skincare for people on a budget. Do you even know what a deal that is? I have spent more cash on just one skincare product before. 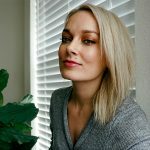 If you are wondering if these products are right for you, I have good news. Paula’s Choice offers a 100% Money Back Guarantee within 60 days and gives everyone a FREE skincare consultation by calling 1-800-831-4088. You can also check out their website for a full encyclopedia of skincare advice including ingredients and proven research. What’s cool for all of us, though, is that I am a Power Primper for Pretty in My Pocket. 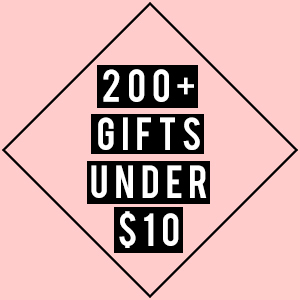 As a Power Primper, I get to offer you, my readers, 20% off + free shipping with promo code: PRIMPWINTER on Paulaschoice.com. This expires Feb 29, 2016, so you better hustle! Join my primping beauty guru friends and me on Pretty in My Pocket! Get it on the fun by going here. 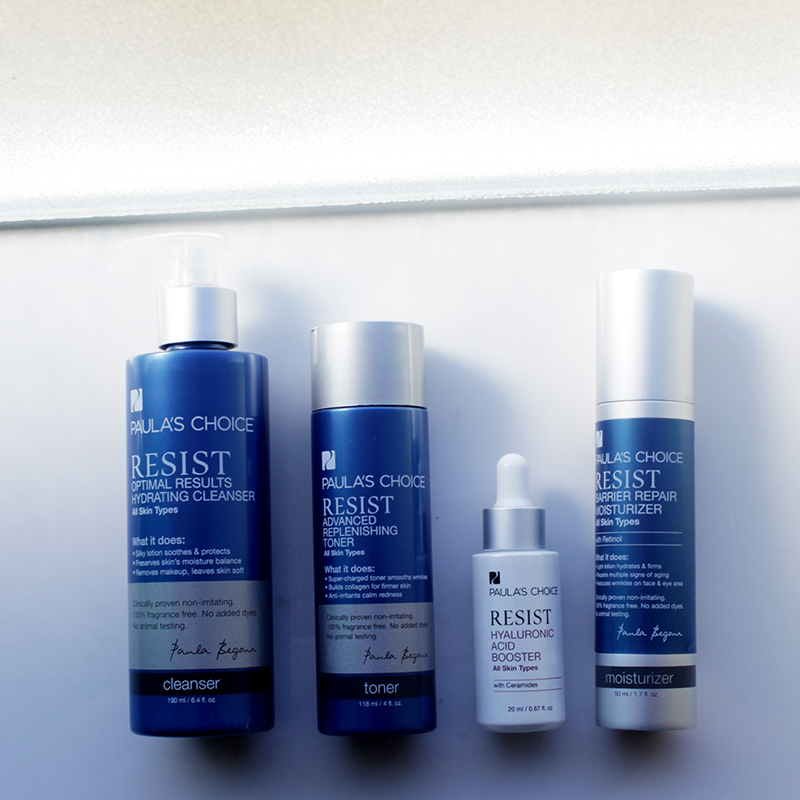 Have you tried Paula’s Choice skincare products before?